Um, does Doug Ford even know what job he’s applying for? The new leader of Ontario’s PCs thinks he can cut funding for something Ontario doesn’t actually pay for? 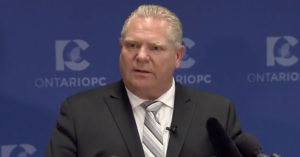 Responding to Ontario’s 2018 budget Wednesday, Doug Ford raised fresh questions about his basic understanding of the issues when he offered reporters a nonsensical suggestion about how he could save Ontario money: cut funding for the CBC. Only problem with that idea? The Province of Ontario doesn’t fund the CBC – that’s the federal government’s job. “The new Ontario Progressive Conservative leader says if elected premier he will deliver billions of dollars in tax cuts. He will tackle the province’s debt. And he will do all this mostly by weeding out government waste. The good news is that some journalists are trying to overcome Ford’s evasive pattern of “lying” by challenging Ontario’s would-be Premier to make clear, on-the-record statements about what he really believes. Citing a story first reported by PressProgress, Queen’s Park Today’s Allison Smith questioned Ford about his interview with a social conservative group, floating the idea of giving parents new powers to block pregnant teens from accessing safe abortion services. Ford’s policy would be likely unconstitutional, violate doctor-patient confidentiality rules and expose pregnant teenagers to violence. But when pressed on the issue, Smith says Ford lied to reporters and blamed it on a “gotcha question” from the CBC – to be clear, Ford made the promise in an interview with a hardline right-wing anti-abortion group, not the CBC. In his response today, he lied and said the only time he mentioned this was because of “gotcha question” from the CBC. In March, he told socially conservative website RightNow that he would welcome allowing parents to block abortions. See link above. Not sure where the CBC thing came from, but good example of Ford lying infront of about 100 journalists. Ontario voters will go to the polls in two months. During a speech at the Broadbent Institute’s Progress Summit last week in Toronto, American Civil Liberties Union National Political Director Faiz Shakir shared his insights into the challenges facing Americans in the wake of Donald Trump’s election. 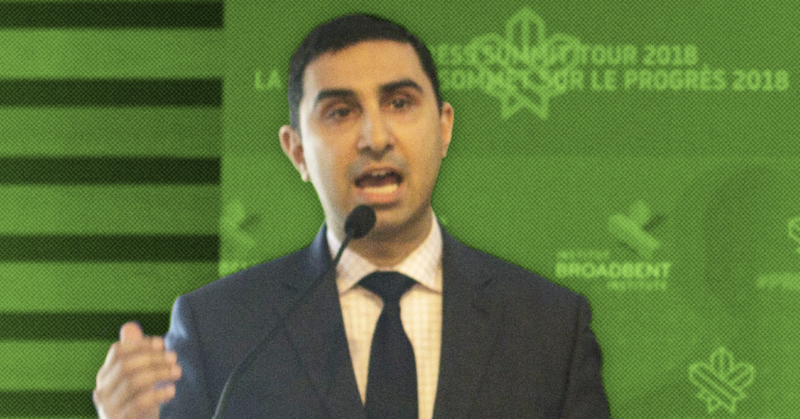 Shakir, a former Editor-in-Chief of the Washington-based progressive news outlet ThinkProgress, discussed how to build the political infrastructure to take on Trump and the recent explosion of right-wing propaganda on social media.